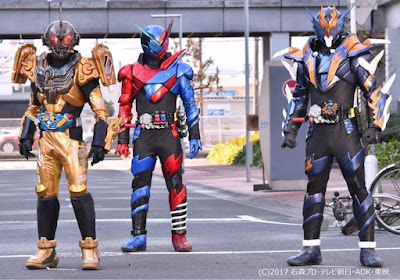 The entity that possessed Misora has been finally named and Banjo, after sidelining his own Build Driver, is back as Kamen Rider Cross-Z! Plus Sento gives him a new equipment that will boost the power of his base form! Sento fights against Stark to try and reclaim the Pandora Box as they storm the Pandora Tower, and meanwhile, a secret about Banjo is revealed that confirms Vernage’s words…"